Can institutions invest in a way that improves the world with little or no cost to investment performance? If so, what are the best techniques for attaining such goals? In this talk we will explore these questions, taking as the centerpiece of the discussion the issue of climate change. What should conscientious investors do to help reduce the probability of climate catastrophe? Most discussion these days centers around divestiture, but there are compelling arguments that an engagement-based approach may be superior. We analyze the financial impact of divestiture on firms and find that it is likely to be surprisingly small. We examine some of the philosophical issues surrounding the question, taking as a point of departure Albert Hirschman's classic 1970 paper "Exit, Voice, and Loyalty. And we attempt to develop a framework for understanding when an exit-based approach will be the most effective versus when to employ voice, and, when voice is preferred, how to use it. 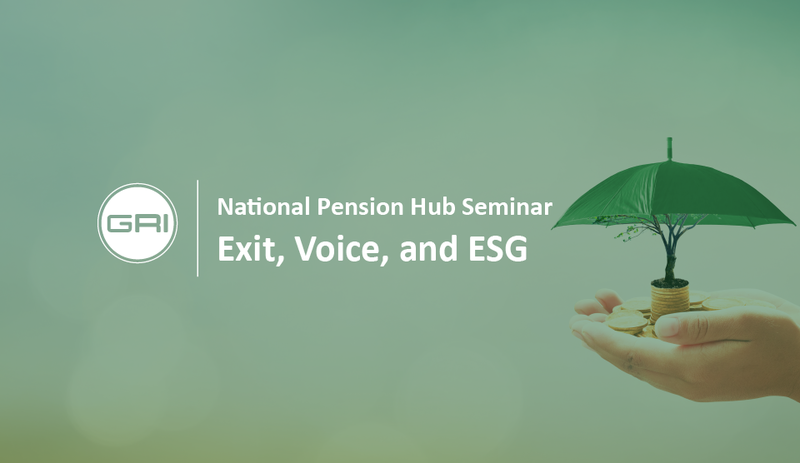 NPH and GRI Senior Leaders working in the pension industry and ESG.